1. Rolling Toomer’s Corner after a Win. Rolling Toomer’s Corner after an Auburn football win is one tradition that is unique to Auburn. 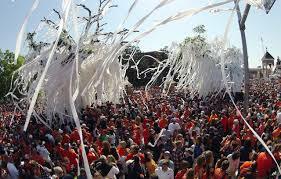 Where else can you celebrate a win by throwing toilet paper on trees and not get in trouble? College is typically four years of hard course work that can really stress you out. If there’s an elective you’ve always wanted to try such as bowling or scuba diving, why not take it? This will break up some of those stressful courses. Work experience is extremely important on a resume. Try to do as many internships or jobs that pertain to your major as you can. This will also help you decide what you like and dislike, allowing you to narrow your career focus. 4. Going to an Auburn football game. An Auburn football game is unlike no other. Our games are filled with tradition and cheering from thousands of fans, which makes for an exciting atmosphere. Also, it’s cheaper to go to Auburn games as a student. College can be one of the loneliest places if you don’t make an effort to meet people. By joining an organization, whether it be greek life or a club you’re interested in, you’ll automatically be placed into a group of people with similar interest as you. 6. Going to the Auburn gym. 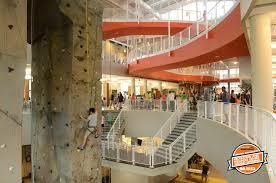 Auburn has one of the coolest gyms out there and as an Auburn student you can use it for free, so why not take advantage of it? Plus, all those wonderful college years of living off junk food will catch up to you so it’s best to start working it off now. If you have even the slightest interest in studying abroad, go for it. Not only will this stand on your resume showing that you’re cultured, but studying abroad allows you to gain more independence since this will probably be your first time living in a different country without your family. There’s nothing better than immersing yourself in a new culture alongside your classmates. 8. Taking advantage of student discounts. There are hundreds of student discounts out there that you will have wished you took advantage of in college. For example, companies such as Spotify and Amazon offer heavily discounted memberships to students, plus many restaurants and stores offer discounts as well. While it can be more fun to run errands with friends, it is not good to rely on other people to always do things with you. When you graduate, odds are you will not always have someone to go to Target or eat lunch with. It’s better to break the fear of doing things alone to prepare for post-grad life.